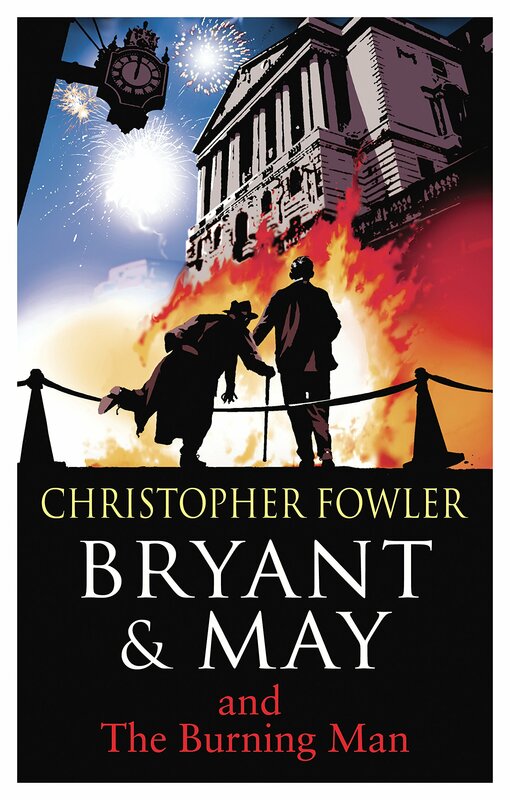 Bryant & May 12; The Burning Man, or Bryant & May and the Burning Man, if you prefer – it makes no odds – has been an utter delight for me to write, and in many ways feels like the most rounded volume yet, even though the ending may prove a tad upsetting for some. My publisher, Transworld, is so pleased that it is fast-tracking the book from its original launch date of November 5th in order to get it into the shops much earlier than usual. It will now have an early spring launch, and will be with you in March 2015. The cover is once again by the superb David Frankland, and is one of the best yet. I’m thrilled about this for many reasons. The book is longer than usual, which means more of it and less of a wait for regular readers, and it’s something of a benchmark book for me, bringing to an end the second big arc of the Bryant & May tales. It also launches on my birthday. Later this week I’ll be able to talk about the other book that’s being published next year. London is under siege. A banking scandal is filling the city with violent protests, and as the anger in the streets detonates, a young man burns to death after being caught in the crossfire between rioters and the police. Using their network of eccentric contacts, elderly detectives Arthur Bryant and John May hunt down a murderer who adopts incendiary methods of execution. But they find their investigation taking an apocalyptic turn as the case comes to involve the history of mob rule, corruption, rebellion, punishment and the legend of Guy Fawkes. I can’t wait! It sounds so exciting. When you say “bringing to an end the second arc” does that mean there may be a third set of crimes to solve for your elderly detectives? Or the remaining detective and the team….. Oh go on write some more I dare you! I’m ready too, it’s been too long since I read a crime novel anyway. Like Wayne, I’d love to see a third set -c’mon, three is such a magic number! Oh ho! What a surprise! Or not. Isn’t Arthur Bryant always losing his bearings? Excellent news, very excited about this! I’m just getting excited for the Bleeding Heart coming out in audio early November! I hope it doesn’t take so long for the audio version of The Burning Man. These are my favourite ever series of crime novels. I can see why Nov. was planned for the launch but so glad it’s been moved forward. Really pleased. I don’t like the sound of an ‘upsetting’ ending – if only ‘ a tad’. Do hope you haven’t killed off one of your two main heroes. Or even Crippen. I like them all as they are, and we do want the promise of more to come. Still, I suppose we shall just have to brace up and hope for the best. Like most of life, really. Nothing better than welcoming the next new year with something wonderful happening in each month. My 2015 panning out so far as, January – New Year at a beach party in Portugal. February – catching up with old friends in London. April – Birth of twin grandchildren. Oh missed March , how did I do that? MARCH – NEW BRYANT AND MAY BOOK. I am loving March 2015. Hasn’t the release always been down for March though? Amazon has had it listed as March for a few months now, and the last few B&M books have been released in March as well. Arthurs day of reckoning? No you can’t kill off John or Alma, they are like family. For American fans Audible has released Bryant and May and The Bleeding Heart. Please download it so we can continue to get all of the books.